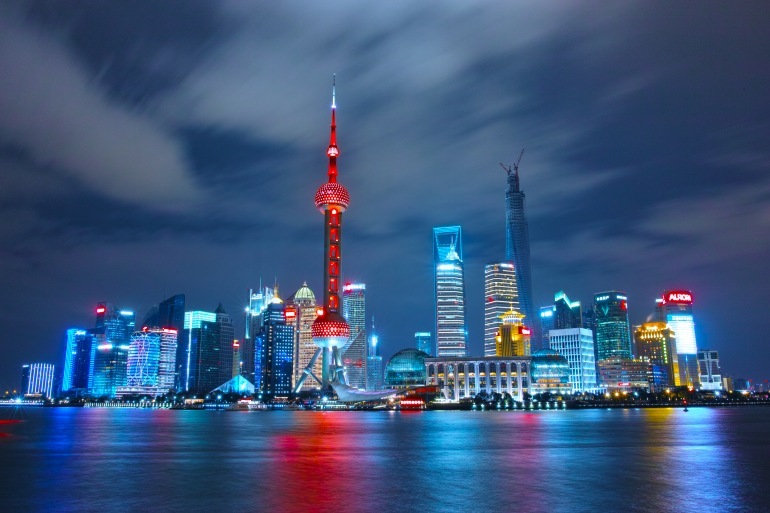 China Sampler tour features some of Asia’s most dynamic cities: Beijing, Xian, and Shanghai, with guided sightseeing tours included in each of them as well as free time to explore at your own pace. Take in China’s deep history by visiting Tiananmen Square, the Great Wall, the Terra Cotta Soldiers, and the Bund! The China sampler was a wonderful trip. We had never ventured to the orient and the China Sampler was a good introduction to Chinese culture. We liked all the places we visited in Beijing, Xian, Shanghai,and Sozhou. The hotels were very nice and comfortable. Out guides Hou and Lilly were very knowledgeable and spoke perfect English. All the extra excursions were well worth the time and expense. I would definitely recommend the tour to anyone. I have just returned from the China Sampler tour jet-lagged and happy, and I can’t stop talking about how incredible it was. Thanks to tour guide Michael (and a number of excellent local guides who joined him), our wonderful group of travelers saw the biggest sights in China: the Great Wall, the Terra Cotta Army, and Shanghai’s breathtaking Bund waterfront. I highly recommend the optional excursions. Almost everyone in the group did most (or all!) of the excursions, which kept us very busy but ended up being some of the most memorable highlights of the trip. While the hotel in Beijing was pretty good, the ones in Xian and Shanghai were outstanding. Michael kept things running smoothly and efficiently. Word to the wise if you book this trip: I hope you like Chinese food! This was my first trip with SmarTours, and it won’t be my last. This is my 2nd trip with Smartours. I went with eight of my friends and family and we truly enjoyed our trip. Oscar our tour guide was the best. He was patient and extremely knowlegable. The sites were great and also the additional excursions. I must say we were tired , but it was well worth it. I am so glad that I was able to share some great moments with my group, especially climbing the Great Wall, my 1st visit to one of the Seven Wonders of the world. The hotels were awesome, but the 1st hotel in Beijing could have been better. I am getting ready to plan my second trip next year with Smartours. I cant stop telling my friends about my trip and your company. I recently returned from the China Sampler and had a great trip. From the beginning of planning my trip to the end, the staff was helpful. Veronica helped a great deal with some issues I had with the trip and answered all my questions in a timely manner. Initially, I was hesitant to go on a tour as a single person. The tour guide, Oscar (Li Bo), made everyone feel welcomed and was very attentive to everyone's needs. He went out of his way to make everyone on the tour happy. The hotels were very nice and the destinations were interesting. Everything on my tour ran smoothly and I got to see everything that was on the tour. The group of people on the tour were friendly and I never felt like I was traveling alone. Thanks smarTours for a wonderful experience. I am already thinking of where to go to next! We enjoyed the trip. We were in a group that had used SmarTours several times and were happy with the results. We were made aware before the trip of all that needed to be done ahead of time. The tour guides were friendly and informative. We were always made to feel comfortable and saw many interesting sites in China. Air China is an awesome airlines - friendly and well-dressed. Hao was a fabulous Tour Director! Fun, informative, easy to be with. He had a great team of city-specific guides and drivers too. It was a good mix of historical sites, shows, restaurants, shopping. Just the right amount of walking each day. Every day was jam-packed with amazing history lessons! Your magical journey with our China tour packages begin this afternoon as you depart on your wide-body jet flight bound for Beijing. After crossing the International Date Line you arrive late this afternoon in Beijing, China’s lively capital and recent host to Summer Olympics. You’ll be greeted at the airport and travel to your upscale hotel centrally located in downtown Beijing, within easy access to Tiananmen Square, the largest public square in the world. This evening, your Tour Director hosts a welcome briefing. A day at leisure to explore at your own pace. Your hotel is ideally located for independent exploration. We suggest an optional ($65) full day excursion with lunch to the Forbidden City, the former seat of the emperors throughout the Ming and Qing dynasties. It is a true architectural masterpiece and home to the National Palace Museum. After an included lunch, proceed to the Summer Palace, a former royal retreat and now a lovely park. Here, enjoy a scenic boat ride on peaceful Kunming Lake. This evening, enjoy a welcome dinner hosted by your Tour Director. On today’s exhilarating included excursion venture outside the city to the legendary Great Wall, which extends nearly 4,000 miles. Time to view and mount the well-preserved ramparts of this ancient wonder before proceeding to the Ming Tombs, burial site of 13 emperors of the Ming Dynasty. This evening, delight in an optional banquet ($50) featuring the famous “Peking Duck” and attend the famous “Legend of Kung Fu” Show. Morning at leisure. You may join an optional excursion ($65) to Beijing’s ancient back alleys (Hutong) by rickshaw and witness the way the Chinese have lived for centuries, and then proceed to the Temple of Heaven. Later today, fly to Xian, ancient capital of China for eleven dynasties and historic gateway to the old silk trading route. On a guided morning excursion visit one of the world’s most amazing archaeological discoveries: a life-size Terra Cotta Army of soldiers and horses guarding the tomb of Emperor Qin Shi. It was unearthed in 1974 after being buried with the first Qin emperor for 22 centuries! The afternoon is at leisure to discover independently. Your hotel enjoys a superb location and you may wish to explore on foot and visit the intriguing Shanxi Museum to view stone carvings and precious art treasures from the ancient Han and Tang Dynasties. On this evening’s optional outing ($45), savor a delicious dumpling dinner, a local specialty, and delight in a Tang Dynasty spectacular folklore show. Today, fly to Shanghai, often described as “Paris of the East”. An intriguing, dynamic city, today’s Shanghai weaves the seaport legacy of its past with impressive new 21st century architecture. Upon arrival, embark on a guided orientation drive and stroll down the Bund, the bustling and exciting waterfront along the Huangpu River. Start your day with a guided walk amidst the scenic ponds, colorful pavilions and walkways of the 16th century Yu Yuan Garden, a delightful reminder of old Shanghai. The balance of the day is at leisure to explore at your own pace. You may join an optional excursion with lunch ($38) to discover the acclaimed Shanghai Museum displaying exquisite ancient Chinese art and artifacts followed by a visit to the famous Jade Buddha Temple which houses exceptional Buddha statues carved of a single piece of white jade. This evening you may join an optional ($45) dinner followed by a mesmerizing acrobatic show. Day 9: Optional Suzhou Excursion. A full day at leisure to explore Shanghai as you wish. We recommend an exciting optional ($65) excursion with lunch to the charming, canal laced Suzhou, often called “Paradise on Earth”. Here you embark on a boat ride on the ancient “Grand Canal” and visit two of Suzhou’s most famous gardens as well as other city highlights. Return to Shanghai later this afternoon. This evening join your fellow travelers for an included festive farewell dinner at a famous local restaurant. Today, transfer to the airport for your return flight to the USA. Your memorable journey of your China Tours come to an end as you arrive back in the U.S. later today. Full Payment due 75 days before departure. Failure to make final payment on time may result in automatic cancellation of reservation and loss of deposit. Changes to the original reservation will result in a $150 change fee per person per change. No changes allowed within 75 days of departure. 9 days or less before departure: No refund.